To really understand a river’s work you sometimes have to walk both of its banks. You need to experience an ambling along the right, then the left and only then can you get a sense of what it means to be a river. How it matters to split a stretch of geography and to render the two halves as adversaries but also partners. 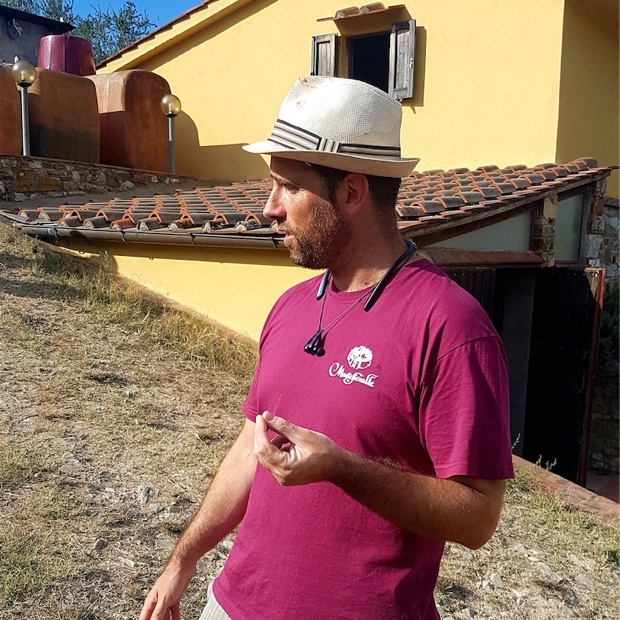 A morning visit to Podere Campriano followed by an afternoon hang at Azienda Agricola Montefioralle aptly demonstrates two apposite and contrasting styles of Chianti Classico sangiovese. All part of a day’s work in the meanderings around Greve in Chianti. 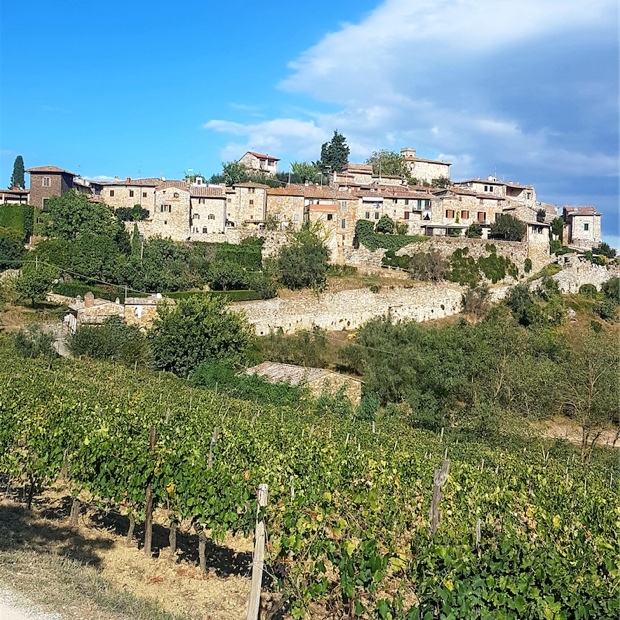 That crested plain is a stretch that separates two essential Greve growing spits, Montefioralle on the west and the hill occupied by Podere Campriano on the right, also home to a sub-frazione known as Alta Valle della Greve. 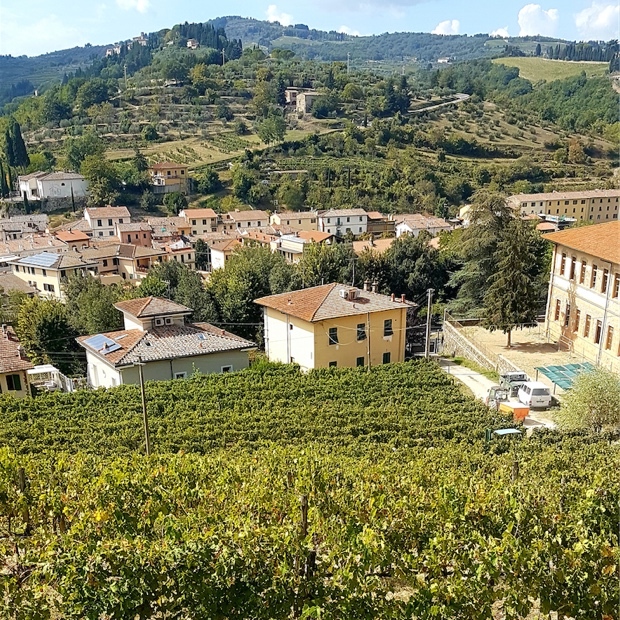 These contrasting micro-terroirs are worth an introspective look, if only to gain some perspective on how sangiovese can differ so much with only a few kilometres of separation, two banks of a river, the aspect and angles of hills and the composition of soils. Only and yet so diagnostic in the assessment of wines produced. 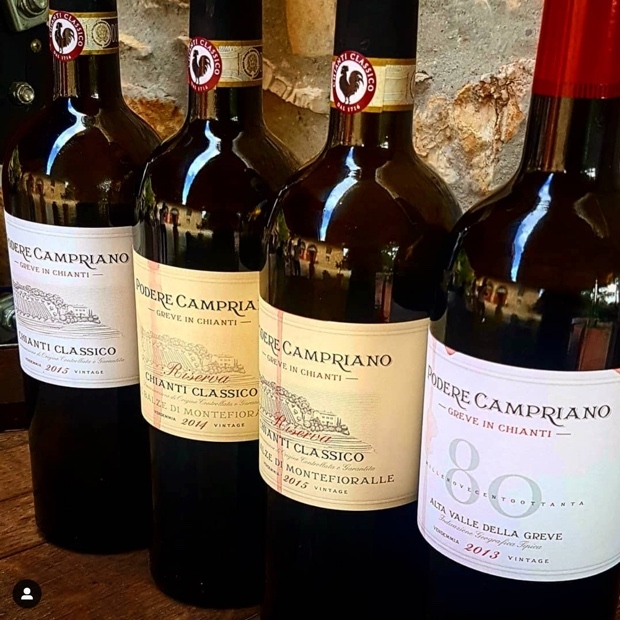 Campriano’s mostly west and southwest facing vineyards on some of Chianti Classico’s and certainly Greve’s steepest slopes gather a great accumulation of afternoon sun and yet the overall temperatures are lower than Montefioralle. 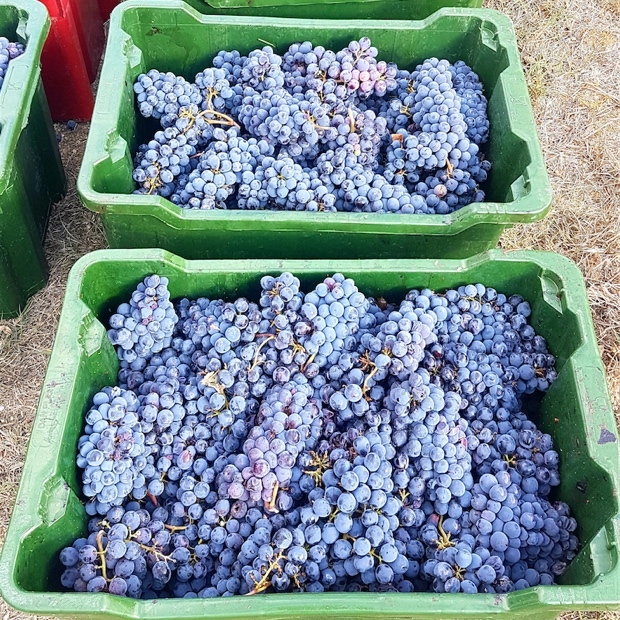 From the sandy soils with great Galestro prevalence on the steep, east bank of the Greve River. 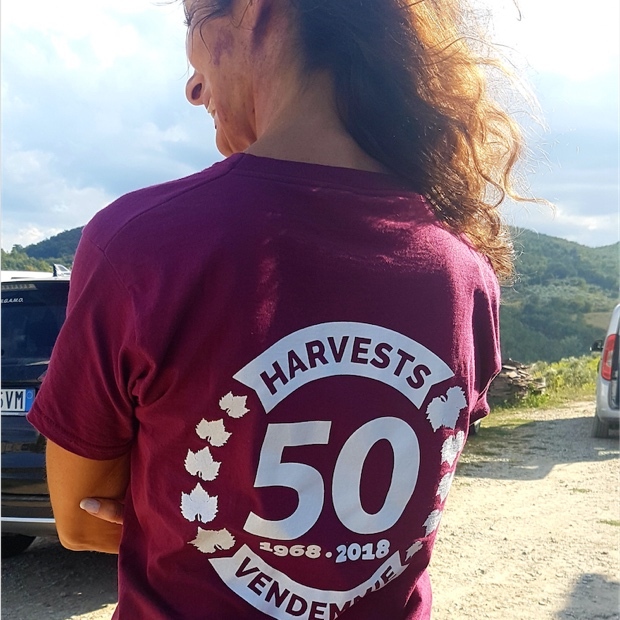 Similar soil profile as Montefioralle (albeit with less true clay) across on the west bank but the weather is so different; less humidity, more diurnal temperature fluctuations but also extreme conditions. 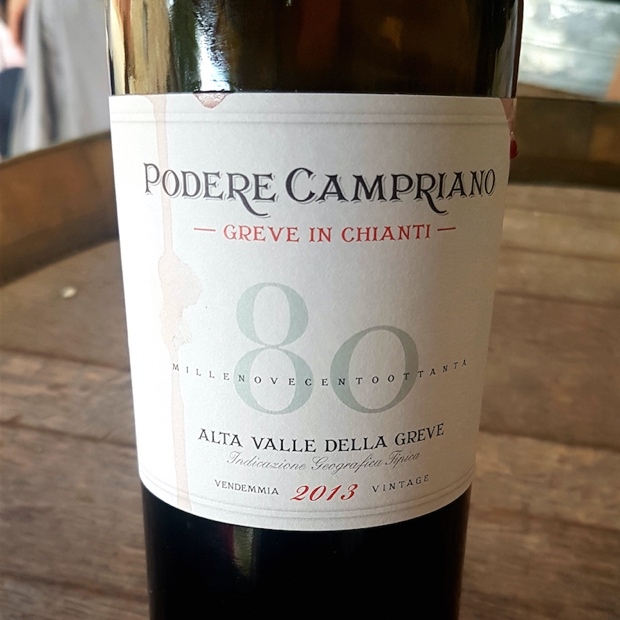 Their’s are Alta Valle della Greve sangiovese of unparalleled cumulative phenolics, richly aromatic and sturdy with the best of the ilk. 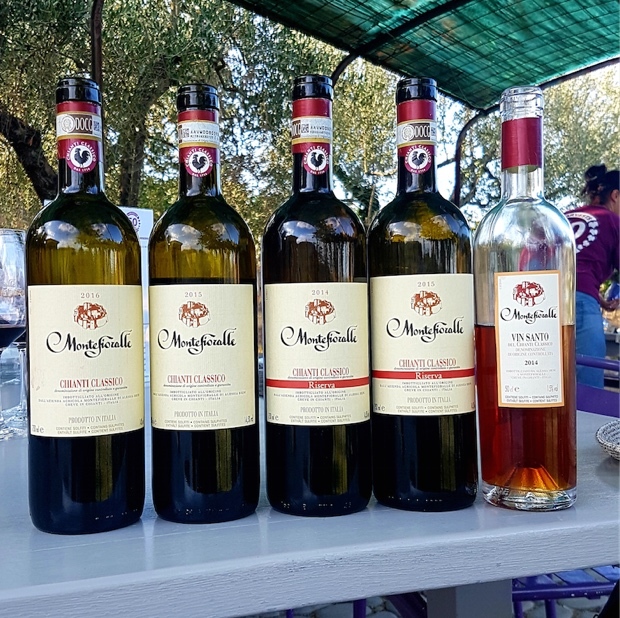 The total annual production is 13,000-15,000 bottles with an emphasis on the signature CC grape variety. 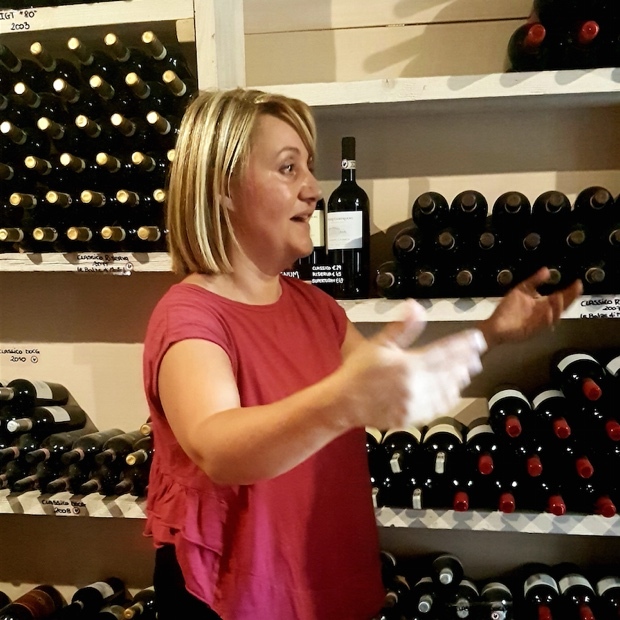 “The sangiovese is the best way to represent the territory,” states Elena Lapini with a shrug of authority. Her cuisine is meant to accentuate her family’s varietal love. 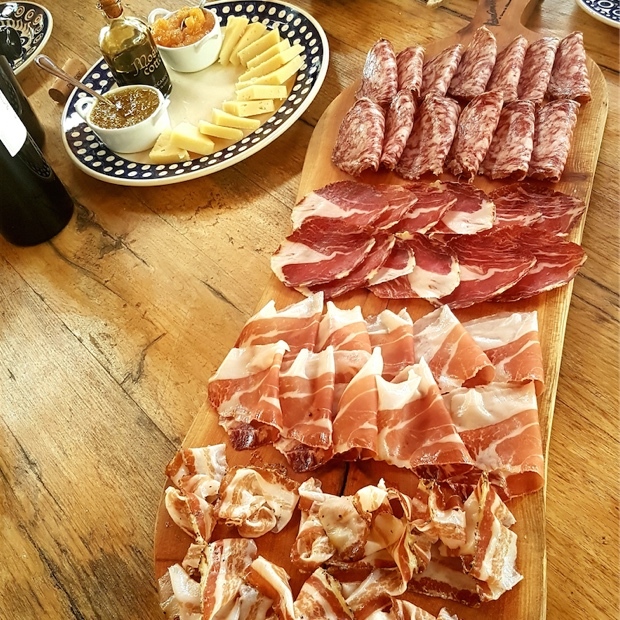 Pici con Salsiccia e Funghi, Fennochina, Coppa con cannella, Prosciutto e Pancetta. 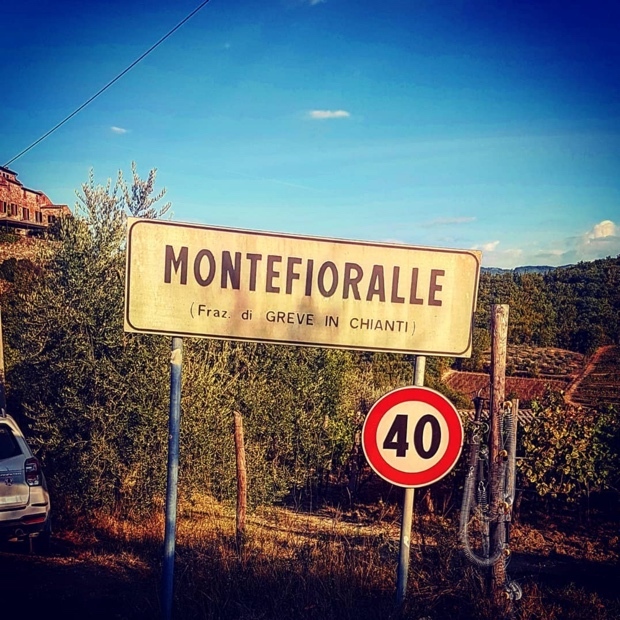 Montefioralle is close to Castello di Montefioralle, southwest of Greve and south of Greti. The hamlet has 79 residents and sits at an elevation of 352 meters. 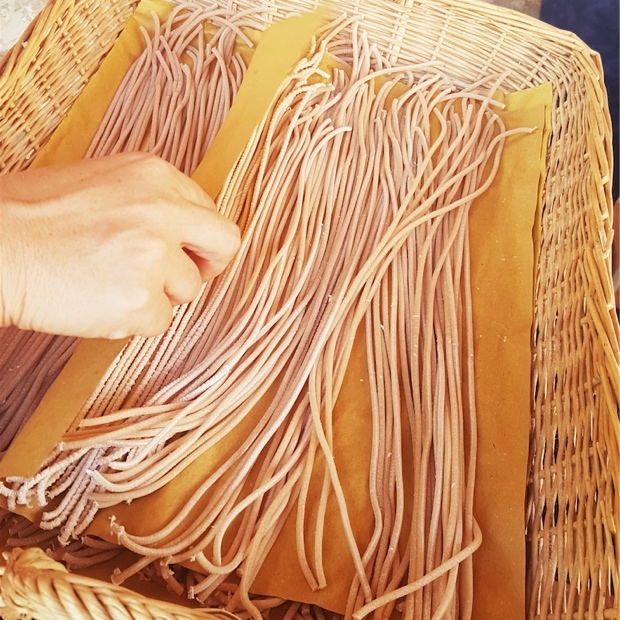 The zonazione is home to the Associazione Viticoltori Montefioralle of 14 producers. 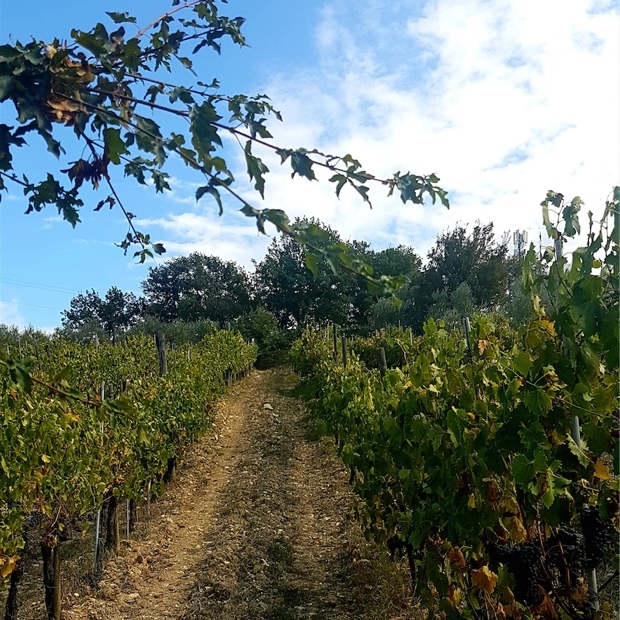 The terroir in Montefioralle is indeed mostly calcareous clay, with sand and in some cases, outcrops of “compresso indifferenziato argille scagliose,” part schisty calcaire with less instances of Galestro or Alberese and more Macigno. Once again yet another micro-territory in Chianti Classico to be considered for menzione geographiche aggiuntive. 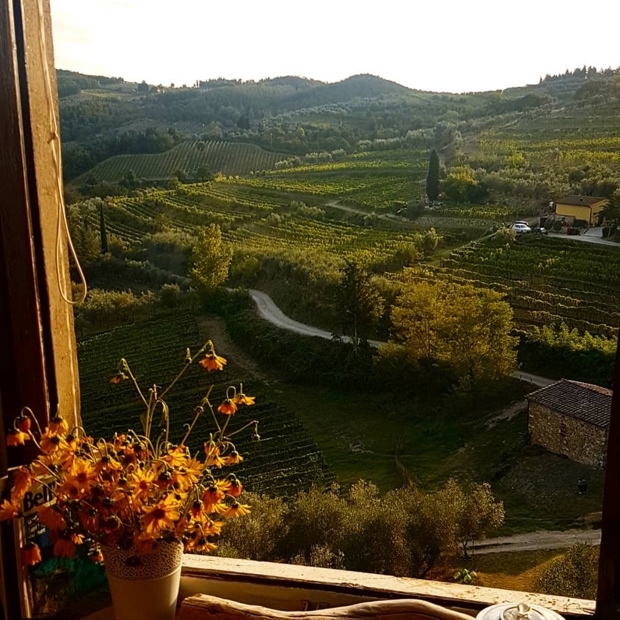 This entry was posted in Azienda Agricola Montefioralle, Chianti Classico, Chianti Classico Riserva DOCG, Consorzio Vino Chianti Classico, Greve in Chianti, IGT Alta Valle delle Greve, IGT Toscana, Italy, Montefioralle, Podere Campriano, Tuscany, VinSanto del Chianti Classico DOCG and tagged 80 (Ottonta), Alcoholic Beverage Manufacturing, Alta Valle della Greve, Beverage Manufacturing, Beverages, Culture and Lifestyle, Drinks and Beverages, Elena Lapini, Food and Beverage Sector, Food and Cooking, Food and Wine, Fuime Greve, Galestro, Greve River, Le Balze Di Montefioralle, Lorenzo Sieni, Michael Godel, Red Wine, Sangiovese, Tasting Notes, Vineyards and Winemakers, Wine, Winemaking.